As President Barack Obama and Mitt Romney prepare for their final debate, the roundtable analyzes the fiesty, second debate, the ever-tightening poll numbers, and the issues that are most important in the countdown to Election Day. Joining Gwen: Peter Baker, New York Times; John Dickerson, Slate Magazine; Amy Walter, ABC News; Charles Babington, Associated Press. MS. IFILL: Sly digs at a formal charity dinner do nothing to obscure what’s at stake for the two men running for president. MR. ROMNEY: (From tape.) Mr. President, let me finish. MS. IFILL: Back on the post-debate stump, each stepped up the attacks. PRESIDENT OBAMA: (From tape.) If you say – if you say you’re for equal pay for equal work, but you keep refusing to say whether or not you’d sign a bill that protects equal pay for equal work, you might have Romnesia. MR. ROMNEY: (From tape.) I just think the American people had expected that the president of the United States would be able to describe what he’s going to do in the next four years, but he can’t. MS. IFILL: From Benghazi to binders, from contraception to cars, the campaign heads into the final stretch. Covering the race to the finish line Charles Babington of the Associated Press, Peter Baker of the New York Times, John Dickerson of Slate magazine and CBS News, and Amy Walter of ABC News. MS. IFILL: Good evening. What’s at stake in this election came into sharp focus this week, both at the contentious Long Island debate and in the days that followed. It’s now clear that as the polls tighten, both men are fighting for the same voters, not necessarily the undecided ones, but the decided ones who can be persuaded to show up on Election Day to cast a ballot for the man they trust the most. That’s what this debate night exchanges about energy, taxes, and the 47 percent were really about. MR. ROMNEY: (From tape.) Production on government land of oil is down 14 percent. And production of gas is down 9 percent. PRESIDENT OBAMA: (From tape.) It’s just not true. MR. ROMNEY: (From tape.) It’s absolutely true. Have you looked at your pension? PRESIDENT OBAMA: (From tape.) I’ve got to say. MR. ROMNEY: (From tape.) Mr. President, have you looked at your pension? PRESIDENT OBAMA: (From tape.) You know, I don’t look at my pension. It’s not as big as yours, so it doesn’t take as long. MR. ROMNEY: (From tape.) I care about 100 percent of the American people. I want 100 percent of the American people have a bright and prosperous future. PRESIDENT OBAMA: (From tape.) When he said behind closed doors that 47 percent of the country consider themselves victims who refuse personal responsibility, think about who he was talking about - folks on Social Security who’ve worked all their lives. MS. IFILL: Even the much discussed disagreement about whether the administration misled the public about the consulate attack in Benghazi was about believability. So what did those exchanges tell you about what each man came to the debate to accomplish, John? JOHN DICKERSON: Well, let’s start with the president. I think what he came to accomplish was that he was actually awake for this debate. He made a joke at that Al Smith dinner that he was so rested for the second debate because he’d had a nap during the first one. And what Democrats wanted to see is the president call out Mitt Romney on some of these distortions that the president said he’s been putting forward. They wanted to see him be an advocate, as we just saw on that clip, for a philosophy, for a worldview and look like he was fighting for it. That the ideas were important enough to be worth fighting for and that he then indeed was going to fight for them. What did Mitt Romney come to do? He came to do – basically show that the first debate was not a fluke, that he has a set of ideas for the future, that he can say to these Obama voters from 2008, who are disappointed with this president, that he can say to them, I have a clear plan. Now, he has – and he mentioned his five-point plan several times and what the Romney campaign says in their research after these debates, people may not be able to remember the five points in the plan. They may not be able to remember the details or lack of same. They just know he has a plan and that’s good enough. MS. IFILL: So the president was on the precipice before he – before he walked into this debate hall and Mitt Romney was trying to keep the wind at his back. Who accomplished what he set out to do? MR. DICKERSON: Indeed, they both thought the other was a crock, 20 million times they said that they didn’t tell the truth. MS. WALTER: This is on fire. So – gosh, now I got my crock pot analogy all messed up. But anyway, we had a poll that came out, for example, the other day. The Gallup poll came out and it got Washington and many other folks who follow politics in a tizzy because it showed that Mitt Romney was up 7 points, which was a tremendous advantage, right. We said, gosh, how could that be, 7 points. People were trying to figure this out. And it wasn’t but an hour later that polls came out – or a couple of hours later that polls came out in the battleground states of Iowa and Wisconsin, showing that the president was up 8 or 9 points, right. So we cannot possibly live in a world where that one candidate is up 7 points nationally and is behind 8 points in a state. But I think what we are seeing is that the Romney enthusiasm, that’s one thing that helped – he helped to boost up the enthusiasm for his candidacy from flagging – from the flagging base. That’s what he did in Denver. What did he do at the next debate, we don’t quite know yet, but I agree with John that what he was aiming to do, doesn’t even get those conservative voters anymore, he’s aiming to get those more moderate swing, the Obama 2008 voters, trying to show a more moderate Mitt and also saying to those voters who’ve only seen a caricature of him, right – if you live in a battleground state, you’ve only seen messages about Mitt Romney that are negative. He’s this terrible capitalist who’s going to take your jobs and ship them oversees. He doesn’t believe that women have a right to contraception. He is a terrible person. When he went on stage in both of those debates, he actually shattered some of those. So I think what I’m waiting to see, going back to the crock pot for just one second – what I’m waiting to see is not what the head-to-head numbers look like, but what do the numbers underneath look like. So after two of these debates, what do voters think now about Mitt Romney? Do they think better of him as a person? But more important, what do they think about him in terms of his ability to relate to them? And that question on who do you think will do a better job on – looking out for the middle class. That is where President Obama’s had a big, big lead throughout the campaign. We’ll see if it’s held up. And who do you believe will do a better job on the economy? That’s where the president has been tied with Mitt Romney. MS. IFILL: Well, let me – let’s break this down a little bit, just piece by piece. On the Libya-Benghazi dispute, Peter, we saw them fighting about nuance, about act of terror, whether the president says it was an act of terror or terrorism. Yet there was another argument to be made about whether the U.S. had done all it could to protect its citizens on the ground there. That’s not the argument we saw. PETER BAKER: It wasn’t. You’re right. The voter who asked a question – and this was a town hall-style debate – asked why – who made the decision not to provide more security when it was requested and why. And the president didn’t answer it. He did say, I take ultimate responsibility. What happened there is my responsibility, but he didn’t really answer that question. And instead it became, as you say, a semantic debate – act of terror, terrorist attack. And it kind of got lost, I think. Romney – Governor Romney’s larger point is that the administration didn’t really own up to what really happened in Benghazi until a number of days and weeks had passed and attributed too much to this idea of a protest, which now seems not to have happened over this anti-Islam video. And President Obama was able to sort of like derail that critique by focusing on the small aspect, which Candy Crowley then jumped in to try to correct and tried to correct on both sides, actually. She did say that the president did say in the Rose Garden the day after the attack it was an act of terror and she pointed out that Governor Romney did have a larger point that was accurate. MS. IFILL: And also by having Hillary Clinton come out before the debate and say, hey, if there was a problem, it was my problem. That also defused that line of argument, but right after that, we have seen very little reference back, Chuck, to this – the doubling down of denial, as Mitt Romney was calling it a week ago when it comes to Libya. CHARLES BABINGTON: Yes, Gwen. I mean, we’ve known all along that this election is mostly about the economy. People do care about our role overseas and that sort of thing. What happened in Benghazi was complicated – was horrible, of course, but very complicated – the steps that led up to it are still partly unknown. But Peter made a good point that the question was not – the president did not answer the question and Mitt Romney seemed to have an opportunity there that I think he missed. He did not point out that the president did not answer the question. And he seemed to have sort of walk into this whole syntactical thing about exactly what was said and not said and he blundered there. I’d be very surprised – the Monday night debate, the last one, is on foreign policy. I’ll bet you he will have a much more polished and precise critique of what happened in Benghazi. MR. DICKERSON: You know, we’ve talked about the fact that the president didn’t answer the questioner. They both didn’t answer plenty of questions. Before the debate, Bill Clinton was asked about what the two men should do. And he said, you should be respectful of the questioner. You should make sure you answer their question. And this was all about connecting with the voters. And because they are the proxy for the electorate. So connect with them – and because both men are trying to find a way to do this, often the voters were props and then if you were a swing voter watching this and this weird chest thumping that was going on between the two men, there was a point at which I thought Candy Crowley was just going to say, boys, take it outside. MS. WALTER: Yes, they were stalking each other. MS. IFILL: And if you’re an undecided woman voters, which is the voter they’re both going after, who are naturally not really thrilled with watching boys punching at in a ring quite that way, the question that was asked about pay equity didn’t get answered either. MS. WALTER: Right. It was supposed to be about that question and it turned into so many other things and of course, the biggest thing it turned into, of course, is the now infamous binder full of women. But at the end of the day, you know, I think you’re coming back to that very – the very point that John made, which is these two guys were spending a whole lot of time bashing each other and not a whole lot of time taking those arguments and relating them to the average person. And that’s what – for all the voters that we all meet, what I hear overwhelmingly from, especially from women is I want these men to live just a day in my life. I want them to understand what it’s like to be me and to have to try to do the 10 or 15 things I’m doing in a day. And this is why this issue about who understands the middle class, who understands those values is going to be very important and – for Mitt Romney to be able to shatter that image. MS. IFILL: Well, one thing that they do seem to get is that they need those voters. So if you have any doubt that both campaigns are targeting them, just take a look at these new ads that went up in battleground states virtually the instant the debate ended, both of them about abortion rights. NARRATOR: (From tape.) Banning all abortions. MR. ROMNEY: (From tape.) I’d be delighted to sign that bill. NARRATOR: (From tape.) Trying to mislead us. That’s wrong. But ban all abortions, only if you vote for him. SARAH MINTO: (From tape.) You know, those ads say Mitt Romney would ban all abortions and contraception seemed a bit extreme. So I looked into it. It turns out Romney doesn’t oppose contraception at all. MS. IFILL: It’s not an accident that they’re ducking it out over this, but what I’m curious about is whether it’s really about abortion, this argument, or whether it’s really about getting women to pay attention and show up. MR. DICKERSON: Both. I think for the – certainly for the Obama voters it’s about, hey, there’re real things at stake here. This is don’t be blasé if you’re a woman and you kind of like President Obama, but you’ve grown disillusioned and you might not show up. You have to show up because the issues that you care about are at play. MS. IFILL: And Obama has lost some ground with women voters, right? MR. DICKERSON: He has. Well, and again, to Amy’s point, we don’t know. There seem – some polls suggest he’s lost quite a lot of ground. He won – he beat John McCain among women by 13 points. He needs to do that well or better. He’s not doing that well, even if you look consistently at polls. So the question here is, A, turnout women, but also that word extreme. Senator Bennet won his Senate race in Colorado in 2010 by essentially taking his Republican opponent and telling suburban women this guy is off the charts extreme and that worked. It also worked in Nevada for Harry Reid when he ran against Sharron Angle. That’s what’s at play here with suburban women in Virginia. I mean, it’s so targeted now we almost know her name and she lives in a suburb of Washington in Virginia, and this is the idea. It’s that it’s issues to care about, but it’s also extreme, which can then expand to mean a whole host of different issues. MS. WALTER: But the difference in those races is that those were Senate races with unknown candidates, right. I mean, nobody knew who these candidates – these Republican candidates were and it was all talk about the tea party. And it is quite remarkable that we are back to this place now, where we talk about the fact that Mitt Romney allowed himself to be defined like he was simply a Senate candidate, rather than a candidate running for president. I mean, he was defined not just by these ads back here, but long before that. They’ve been running those abortion ads in Northern Virginian, in the suburbs of Denver for quite some time. MR. BAKER: Yes. We went through 90 minutes and in fact, the president did not bring up the 47 percent. We were told that in fact the president wasn’t planning to, in the first debate, bring up the 47 percent at all. MS. IFILL: But that he was going to do it in the second debate. MR. BAKER: Well, but the theory was they would let Romney respond to it. And they rather have issue, rather than allow Governor Romney such a platform to respond. So how did he do it in the second debate? He waited till the very closing argument. And Governor Romney went first and he tried to preemptively address it. He clearly sensed that President Obama was going to do it. I want to represent all 100 percent. So then, President Obama gets the last word and he goes after him on the 47 percent in a way that Romney can’t respond to. MS. IFILL: Is there an enthusiasm factor, Chuck, here which is going to drive voters to the polls or is there a lack of enthusiasm factor that people have began to worry about in these states that we’re watching? MR. BABINGTON: You hear both campaigns talk about this issue all the time. Republicans are really happy. They feel that that first debate where Romney did so much better, drove up his enthusiasm by a large amount and with lasting power. They are as happy about that as almost anything. You see in these polls repeatedly that Romney does much better among likely voters as opposed to registered voters. And the pollsters tried to ask a series of questions to figure out are you really, really going to vote or just might maybe going to vote. And what they’re seeing is a stronger enthusiasm for Romney, and that’s why he does better among likely voters. And Republicans feel that part of that comes out of that debate. MR. BABINGTON: Well, the other side of that coin is there’s opportunity for Obama, if these polls are right and he has more soft support, where people say, I’m for Obama. I’m not sure I’m going to vote. This early voting which is taking place in almost all the battleground states gives his ground operation, which by all accounts is pretty strong day after day after day, to target these people, find them, drive them to the poll if they have to. So that is the opportunity that Obama has. MR. DICKERSON: And we saw a little bit of them playing to that early vote today, when the president was talking about Romnesia, very proud of himself for that. MR. DICKERSON: There was a constant patting of himself on the back for that phrase, but why the jokey phrase? It’s funny. It appeals to younger voters. It gets some buzz. And those younger voters, the ones they want – early voting, I think, starts in North Carolina tomorrow, they want them – and it’s already started in plenty of other places – they want them getting to the polls. This is something that kind of is fresh and flashy. It gets to be – it builds that momentum, as you were saying, Chuck, to get them out to the polls. MS. WALTER: Yes, and what a difference four years makes. In 2008, he was getting them to the polls by this was a vote for Barack Obama. This is historic. This is so powerful. Now, it is by calling your opponent an extremist and basically making it a referendum on Mitt Romney and how terrible he’s going to be. It’s a fear factor in turning out to vote instead of an optimism factor. MS. IFILL: Well, does that make this a base election, where everyone is trying to drive out as many people as possible who support them and make the other people discouraged or is it voters – we keep hearing for the undecided voter, that narrow slice in the middle? MR. BABINGTON: From the people I’ve talked within both campaigns, it’s not strongly one or the other. And we have seen past elections that were much more one or the other. But both are still going, try to get your base, get your voters to the polls, and that’s what we’re talking about, especially Obama needs to do that because he has more soft support. But they do feel like there’re still, believe it or not, some wavering voters – there’s not that many, but this thing is so close that it doesn’t matter. Republicans feel very strongly that there’s still a number of voters who kind of want to far Barack Obama. They’re disappointed of him, but they haven’t quite decided that Romney is okay and that – and this is going to what Amy was talking about, because they’ve seen all these ads about what a bad guy he is. And that’s why the Republicans feel it was important for Romney to do so well at that first debate. MS. IFILL: Does a foreign policy debate, which is what we see looming on Monday night, speak to any of those voters? MR. BAKER: I think it does. Obviously foreign policy is like 150th on the list of priorities in this year’s election, according to polls. I’m making that number up. 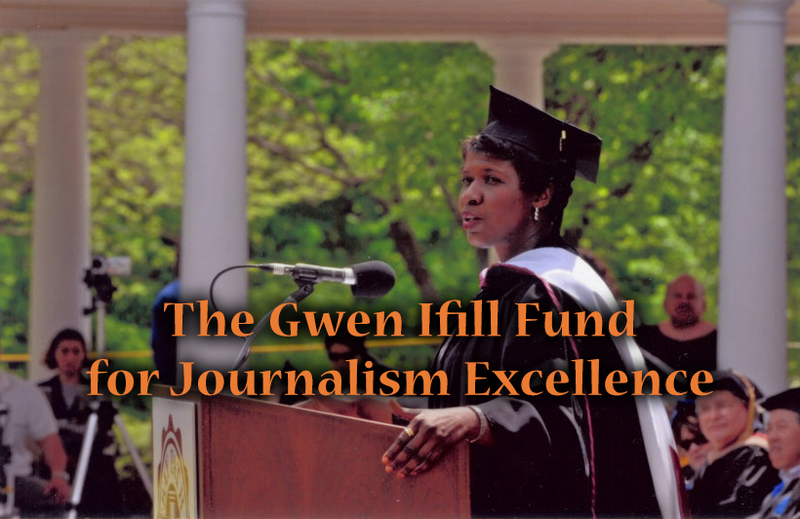 MS. IFILL: Just for the record. MR. BAKER: But I think what it will come down to a little bit on Monday is about issues of leadership, trust, character, who do you relate to. The difference is if you actually narrow down the policy differences between the two, they’re relatively minor. What’s really at stake in this conversation is who do you think leads America better? Governor Romney makes the case President Obama has been at times weak. President Obama says, as he said at the Alfred E. Smith dinner last night, Osama bin Laden, got him. You know that’s the essence of his argument back. And it may be a bigger debate than we think it is, despite the lack of attention to these issues. MR. DICKERSON: I think that’s right. I think it sends signals – voters sometimes get angry when we don’t talk about the specific details and they get angry when the candidates don’t do that either, but a lot of voters take their views of these candidates – back to your point about trust – who am I going to trust when decisions are being made while I’m not at the table. And that has to do with their lives and the economy, but they’re get cues for that from this foreign policy debate. Who looks like a president, who looks like somebody I can trust in a moment of crisis, but also in carving up the difficult carving that’s going to take place in budgets and with the federal government? MS. IFILL: We have a little math that we can throw up and take a look at some of the states which everybody’s watching. I’m curious what states you guys are watching. I’m watching Wisconsin. How about you, Chuck? MR. BABINGTON: Well, I’m watching – everybody’s watching Ohio. I’ll throw in one really scary thought, Gwen. If Barack Obama, of the contested states, wins – I’m going to do it. I’m going to do it. If he wins Ohio, Wisconsin, and New Hampshire, and Mitt Romney wins the others, not a totally implausible scenario, you have a 269 to 269 electoral tie and it goes to the House of Representatives. And folks, this can happen. MR. BAKER: Well, and seems right. The president goes to the House of Representatives. The vice president goes to the Senate. So you could in theory have a President Romney and a Vice President Biden. MS. IFILL: I’ve heard this before. It never happened. MS. IFILL: We’ve been there before. MS. WALTER: And we have been there. And that would be what these polls are suggesting right now. MS. IFILL: And then, remind us, for those of us who were not traumatized by 2000, what happens then? MS. WALTER: It depends if there’s a Supreme Court involvement or not, but remember. Voters don’t decide who the president is. The Electoral College decides who the president is. So an Electoral College win equals a win for whoever that person is, that person will be the president. This is – this goes to a bigger question about just how we’re getting this data, right, and what we should believe and what we shouldn’t. We have – there are more polls than ever and fewer people answering polls than ever, right? So that is this conundrum that we’re in that you have all of this data and it may all be – maybe not completely wrong, but off. And if you are off, in this case 2 or 3, 4 points, you missed the whole election. MS. IFILL: Well, even if you do that, you know it’s a dead heat and that makes people very nervous. MR. DICKERSON: It’s a dead heat nationally and in the battleground states. What’s interesting, though, is talking to strategists of the campaigns, particularly Romney campaign, which has to kind of pick among all these states. You’ve got to believe these numbers because you got to send the candidates somewhere. MS. IFILL: Why do you send Paul Ryan to Pittsburgh, tomorrow, for instance? MR. DICKERSON: Right. Well, that could be a head fake. Pittsburgh, because Pennsylvania seems to be in the Democratic – a Republican hasn’t won it since 1988. Maybe you – maybe it’s a head fake, yes. MS. IFILL: Yes, we’re going to see a couple of head fakes, maybe North Carolina too. I can’t wait. Thank you all. I’m nervous. I don’t know about you, because I hate when things are this uncertain, but thank you all very much for this. Before we go tonight, we do want to take note of a significant passing, speaking of Pennsylvania. Arlen Specter served as U.S. Senator from Pennsylvania for 30 years. In his time heading the Judiciary Committee, he opposed the Supreme Court nomination of Robert Bork, but he supported Clarence Thomas. He was a tough nut. He did a lot of different things in his life and in the end, he switched parties at the end of his career. Senator Specter was 82 years old. Our condolences go out to his family. Thank you everyone at the table. The conversation has to end here, but it continues online in our “Washington Week” Webcast Extra. You can also find out everything else our panelists are writing and even my blog, where I explain why big burden binders are not going to decide this election. I know, so disappointing. That’s at pbs.org/washingtonweek. Monday night, watch the debate with us as Judy Woodruff and I anchor special PBS coverage, and then we’ll try to make sense of it all again next week, on “Washington Week.” Good night. Panelists break down the race to Election Day in battleground states. When Joe Biden and Paul Ryan debated in 2012, the focus was on the presidential candidates. By winning over the black voters who rejected her in 2008, Hillary Clinton may clinch the Democratic nomination—and inherit the coalition built by the president who defeated her. The race for the 2016 Republican presidential nomination enters a new and urgent phase this week after an already brutish stretch in which the dominance of Donald Trump and Ben Carson has exasperated rivals and the party’s political class. Thousands of delegates to the Republican National Convention will descend on Cleveland eleven months from now, thrilled by the prospect of nominating the candidate they hope will be the next president of the United States. Four years ago, Gwen Ifill talked to Dan Balz from the State Fair about the impact of Iowa on the Republican presidential field. As the first Republican presidential debate of the 2016 election season approaches, we take a look back in the Washington Week Vault to an early debate in 2011. Hillary Rodham Clinton’s appearance here Monday at the home of Dean Genth and Gary Swenson — one of the first gay couples to marry in Iowa — spoke volumes about the political pitch and style of her nascent presidential campaign. As the jockeying for the 2016 presidential primary begins, all signs point to a third run for 2012 Republican nominee Mitt Romney. The former Massachusetts governor first ran in 2008 but lost the Republican nomination to Sen. John McCain. 52 min 1 sec ago. 6 hours 35 sec ago. 6 hours 45 min ago.